PHP, an acronym for Hypertext Preprocessor, is a widely-used open source general-purpose scripting language. It is a cross-platform, HTML-embedded server-side scripting language and is especially suited for web development. Server-side means that PHP scripts execute on the Web server, not within the browser on your local machine. Cross-platform means that PHP scripts can run on many different operating systems and Web servers. PHP is available for the two most popular Web server configurations IIS and Apache. HTML embedded scripting language means that PHP statements and commands are actually embedded in your HTML documents. When the Web server sees the PHP statements in the Web page, the server executes the statements and sends the resulting output along with the rest of the HTML. 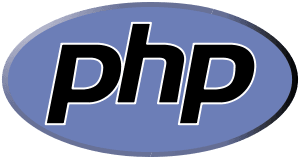 PHP commands are parsed by the server much like Active Server Pages or Cold Fusion tags. The basic syntax of PHP is similar to C, Java, and Perl, and is easy to learn. PHP is used for creating interactive and dynamic web pages quickly, but you can do much more with PHP. In the above example we have written a HTML script with some embedded code to display some text. The PHP code is enclosed in special start (<?php) and end (?>) tags that allows to go in and out of PHP mode. The extension of a php file is ".php". PHP is an open source software. PHP costs nothing, it is free to download and use. PHP is a server-side scripting language and is used for websites and the web applications. PHP supports a wide range of databases. PHP runs on various platforms like Linux, Windows, Unix etc. PHP supports most web servers (for example Apache, IIS). PHP converses with several network protocols. In this series of tutorials, we have covered PHP 5 in detail. While creating this, we have to take care that learners can master the basics of PHP and can be prepared to develop web based applications. 1. We have started with a clear and simple description. 2. We have given a Syntax / Usage so that you can remember how to write it.